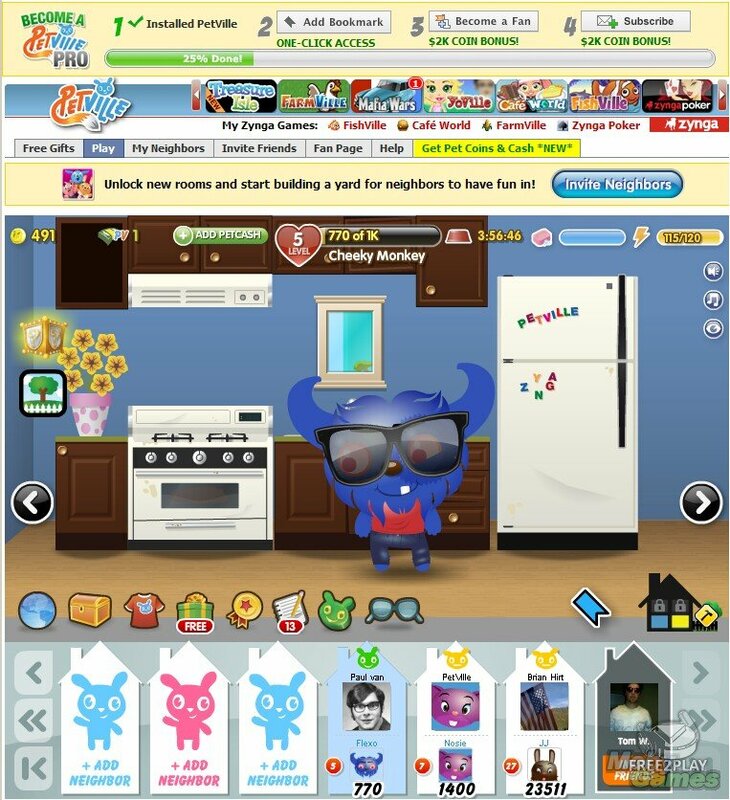 PetVille is a game where you raise, dress, and care for a pet that you create. 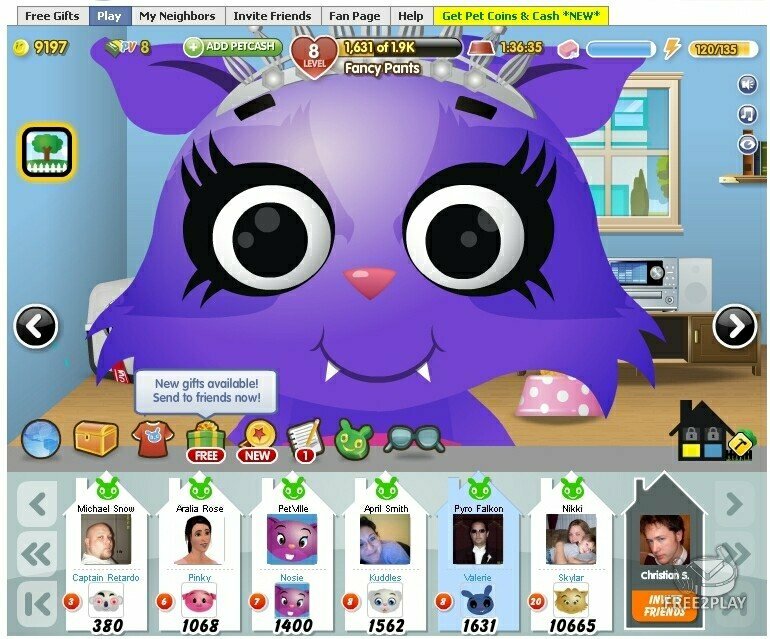 Visit your friends' houses and play with their pets to earn coins you can use to make your pet and house the coolest on the neighbourhood! 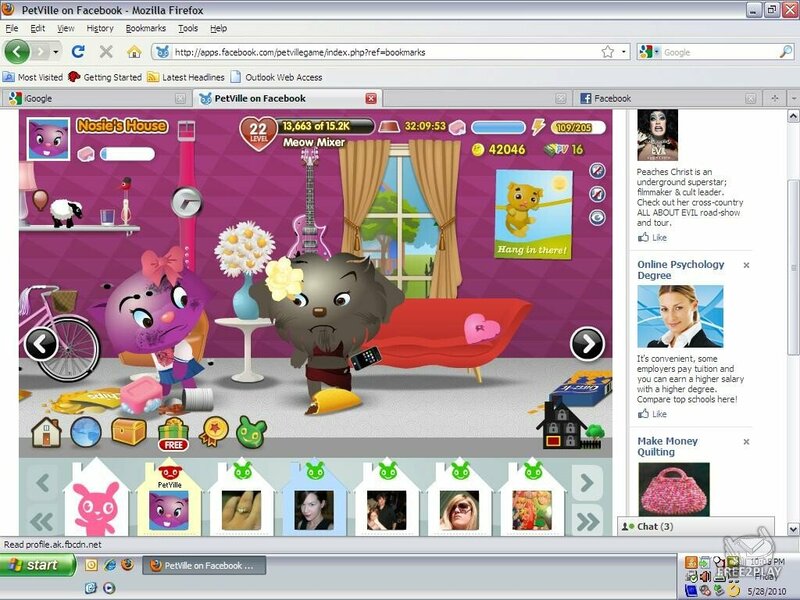 PetVille is a great game to play with your friends and their pets! Invite your friends to be your neighbours in this game to help you earn coins and level up faster! Play fun mini games like Bubble Pop to earn coins and have fun!